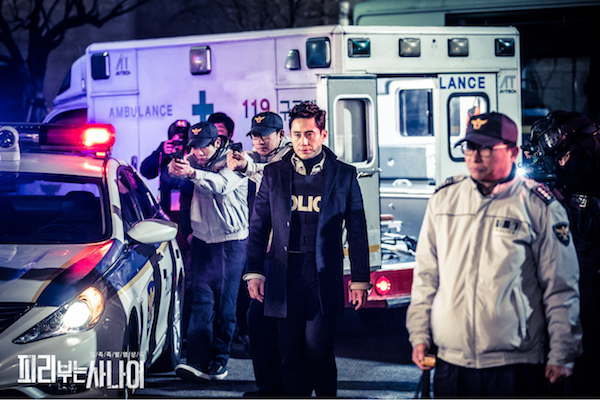 Drama series follows a police crisis negotiation team as they try to solve cases without using force. The police crisis negotiation team works on such cases like attempted suicides, hostage situations and terror situations. "Pied Piper" takes over the tvN Mondays & Tuesdays 23:00 time slot previously occupied by "Cheese in the Trap” and followed by "Another Miss Oh" May, 2016. 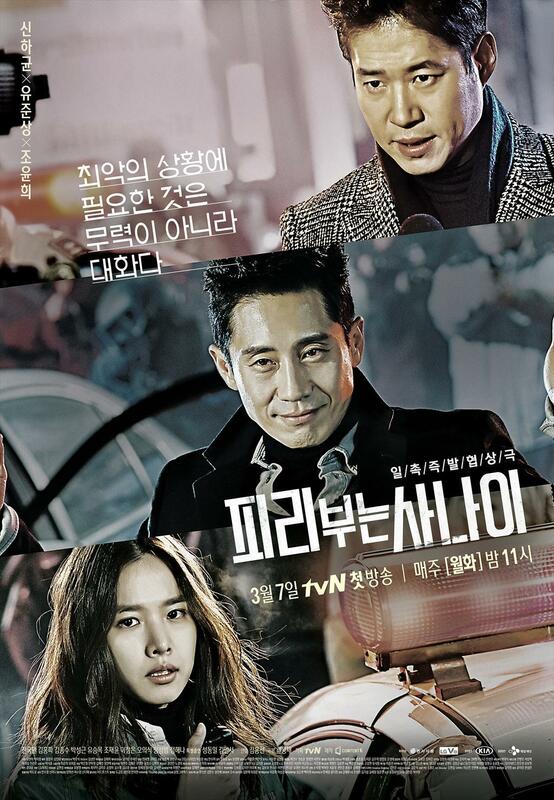 Director Kim Hong-Sun and screenwriter Ryoo Yong-Jae previously worked together in 2014 tvN drama series "Liar Game." Cho Seung-Woo was first offered the lead male role, but declined. First script reading took place January 1, 2016 at CJ E&M Center in Sangam-dong, Seoul, South Korea. Mawiii Jun 22 2017 5:32 pm I am seriously fan of KDrama and this kind of genre was not my type but recently I kept on watching this because its on TvN nowadays. I want to say is that this show was really quite creepy and terrifying but still I tend to watch it weekly when its on TvN. Now it ended already and this story really makes a mark for everyone cause it shows some view on what is really happening in the government. Its all about power and there where only few who wants to fight for the right! gasenadi Feb 06 2017 5:46 am Woefully underrated, Pied Piper treats some very important themes with suspense and mystery, keeping me on the edge of my seat to the very last minute. I truly appreciate this kind of writing (the writer of Liar Game and Time Between Dog and Wolf! 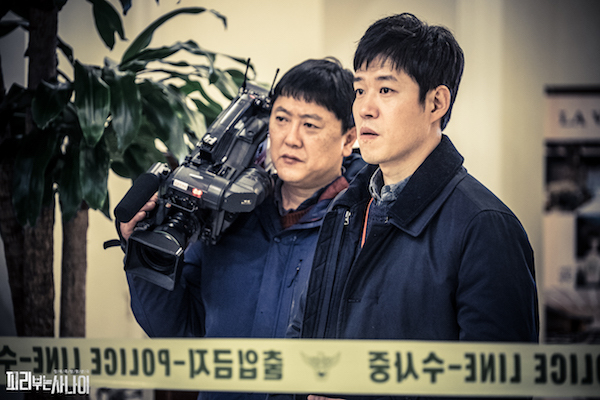 ), directing (the PD of Liar Game, Voice, Hero, AND Warrior Baek Dong Soo, for goodness sake!) and acting. All the cast was at the top of its game, including, of course, the inimitable Shin Ha-Kyun. AND the brilliant - though missing from the credits here in Asianwiki - young actor, Lee Shin Sung, the Pied Piper! This is MY kind of drama and I appreciate it immensely. balkan girl May 23 2016 12:48 am I watched episode 1 so far. They shouldn't speak English if they aren't able, it just sounds phony and gives the drama a bad look from the very start. Which can make people turn away from watching it further. But I have faith and I'll keep watching because I'm intrigued about who the mastermind/the pied piper is. It made me look through the internet because I had not known the story until now. 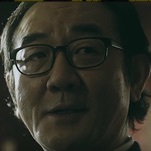 And since the director and writer are the same as Liar Game, it makes me definitely watch it! 강토미 May 09 2016 11:06 am This drama is great but the staff seemed really tired, I mean... if you check the last episode or so, when the Chairman takes "Pied Piper" to the Negotiation Department with the cuffs on, when his subordinate hits anchorman, he falls to the ground and the cuffs magically disappear, but when he gets him up again the cuffs are there... is just laughable to make such a obvious mistake. Anyway, I enjoyed the drama pretty well, it was kind of good though the ending was a bit too... lame. Skyg4lz May 08 2016 3:31 am I wish for a sequel for this drama, because I like to see more of Joo Sung Chan and Yeo Myung Ha's action in this drama. Sumit D May 04 2016 5:56 am This is a very good drama, I don't usually comment but i think it deserve the comment. Well if you think this drama is one of all time great then u r wrong its good but not great, its underrated according to me. First of all story is pretty good, it start a little slow but pick up the pace in later part. The cast and acting is overall good which don't really matter to me but matter for some people. Pretty good thrill and suspense background music is great. Overall a very good drama. In the end i would say this show has one of the satisfying end i ever see. After watching last episode i thought "oh.. this is nice ending". Supersnazzy Apr 28 2016 1:28 pm Just some advice please read about pied piper before watching this drama because you probably won't understand what its all about especially in ep1. Peachy Apr 01 2016 1:30 am Is it just me? Or the color of the movie seems dull. Maybe it's just the video. As for the drama itself, it is very good crime thriller. Clea Mar 28 2016 8:27 pm I was just testing this show and liked it. Give it a shot. 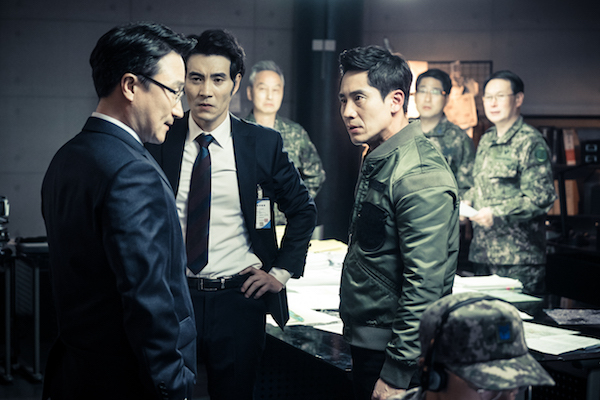 Shin Ha Kyun did well. Shin ha-kyun is doing a great job here," your confidence" <3 _ <3 ..
jube Mar 24 2016 10:36 pm pretty exciting even after one episode, hopefully no more overseas scene or english speaking. too bad they had to get rid of sung dong il's character so early, he is a good actor. jube Mar 24 2016 9:14 pm just started watching, love tvn dramas in general. but crinch when they try to speak english in a korean drama, or when they portray koreans having overseas influence. in real life, they probably wished they had a character like joo sung chan back in 2007. Lily Mar 22 2016 7:36 pm Such terrific actors promise a compelling series. I'm halfway through episode 1 and am hooked by the story possibilities. A Mar 22 2016 6:49 am This is a must-watch! It may not be as thrilling as Signal, but its concept and storyline are just as interesting. People need to realize how media can be more damaging it is than helpful in broadcasting crises amidst negotiations. kpopkitty Mar 10 2016 4:40 am I don't like any of the lead actors in this, so I think I'll pass. gimma Dec 13 2015 10:55 am hyun bin and song ju hyo pls!!!! suk2014 Nov 27 2015 8:55 pm Cho seung woo please make comeback. I really want to watch you after the great success of god gift: 14days.